This is a Stunning retro condiment / cruet set with stand, by Guzzini, Italy circa 1960’s. 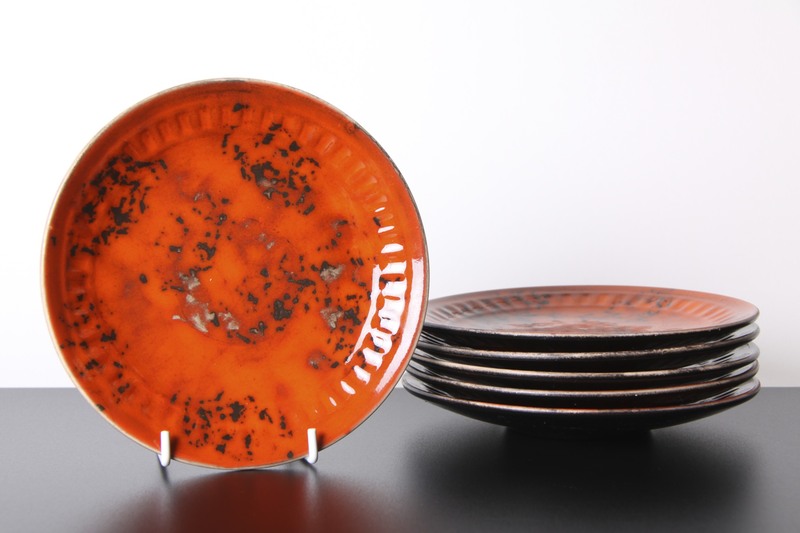 A Fantastic design, so reminiscent of the era, with its classic orange and white colourway retro plastic styling. The circular white plastic stand / tray has a deep rim to hold the cruets and bottles, and a chrome / stainless steel carry handle. 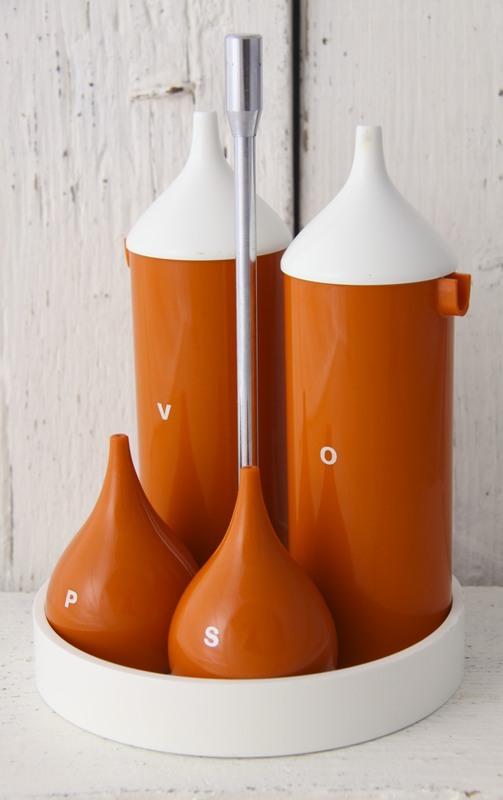 The two tall bottles for oil and vinegar marked ‘O’ and ‘V’ have orange plastic cylindrical bodies with mini spouts at the top, and white domed removeable lids for filling. The salt and pepper cruets, marked ‘S’ and ‘P’, have a stunning curved teardrop shape, with holes at the top for dispensing and plastic stoppers on the bases for easy filling. 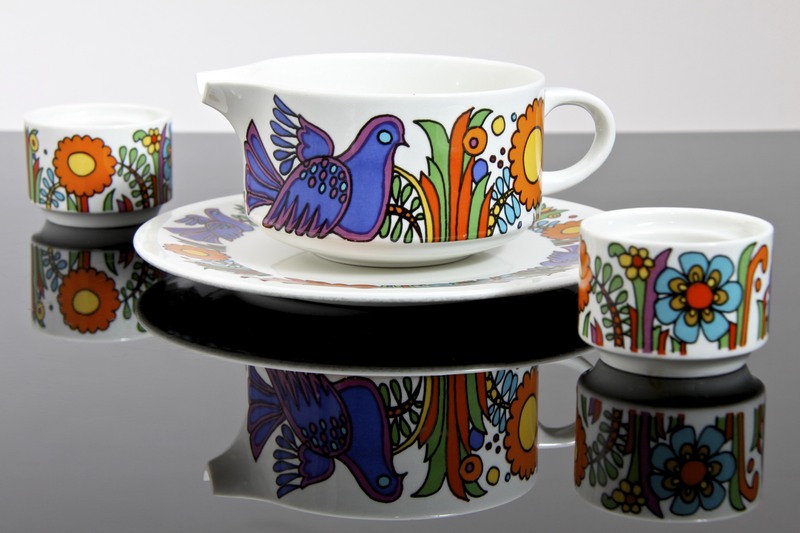 Beautiful design by this renowned Italian maker of classic iconic 1960’s homeware pieces. Lovely styling in form and colour, vibrant and reflects the Space Age / Pop Art influences of the era. 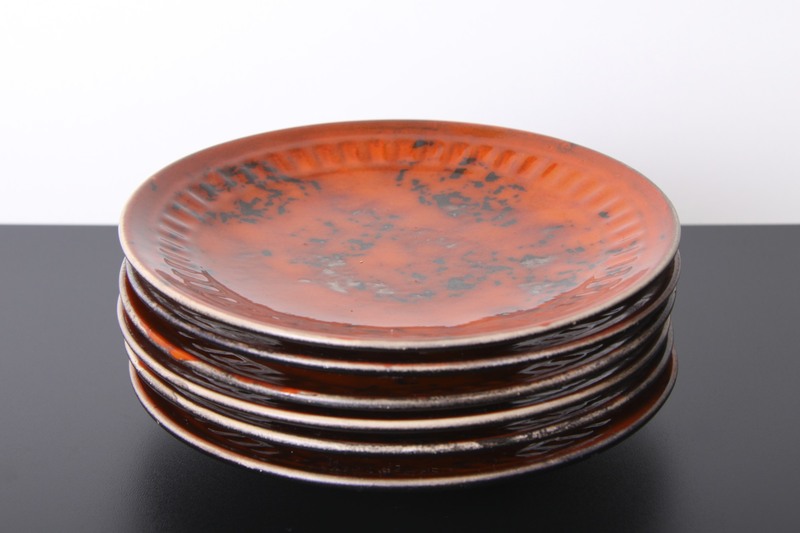 Would make a Great addition to any retro, vintage, mid century, space age, pop art, 1960’s, minimal or contemporary kitchen or table setting. In Excellent Condition, a few miniscule marks, nothing to detract on display, the stoppers on the cruets are both different, but work perfectly. The bottles still have the original Guzzini labels on the bases! Total size of stand is 22 x 14 x 14cm / 8.75 x 5.5 x 5.5in. The bottles measure 18 x 5 x 5cm / 7 x 2 x 2in. The cruets measure 7.5 x 5 x 5cm / 3 x 2 x 2in.